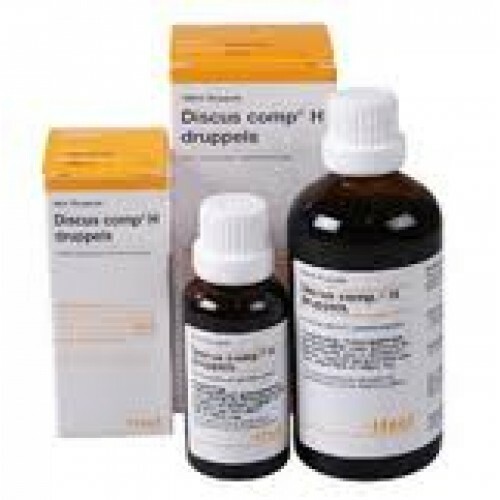 Heel Discus compositum is used for joint and connective tissue diseases, joint and backaches. For humans as well as suitable for small and large pets. Horse, 2 to 3 x 30 drops per day. Foal or pony 2 to 3 x 20 drops per day. They have no intrinsic taste and it is possible to mix them with a little water without them losing their effectiveness. It is preferable to administer them between meals. The general dosage is three times daily. In both cases one may increase the frequency of application as shock therapy in acute disorders. In the cases of those animals where it is difficult to proceed in this way, there are alternatives. Triturated tablets mixed with a little honey can be spread on the part of the animal where it tends to lick itself, for instance on a cat’s front extremities. The same procedure applies to drops. Another possibility is to inject or insert drops or tablets into a small amount of food, with horses into a piece of dry bread, carrot or apple and with cats or dogs, into a piece of cheese or meat.